Steamboat Willie, Mickey Mouse’s first cartoon released to theaters, came out on November 18, 1928. Since the 60’s this date has always been referred to as Mickey’s birthday (as Minnie is also in the cartoon, it’s her birthday too). 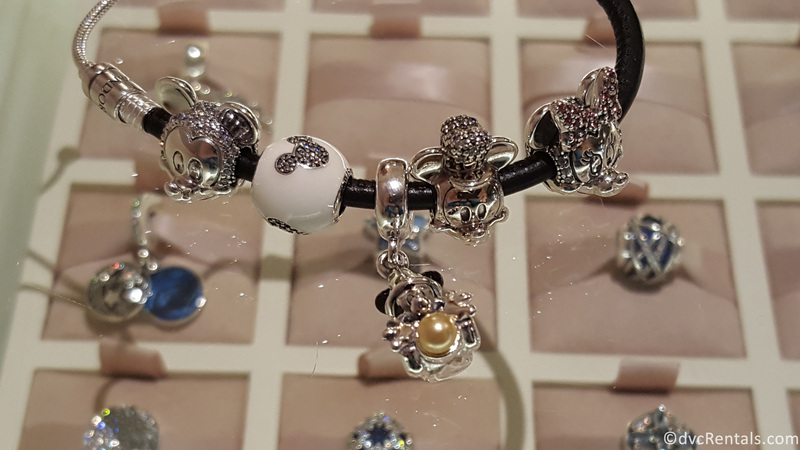 For many years Mickey Mouse’s birthday was not noted at all at Walt Disney World. Nothing special was done, and November 18 went by with no fanfare. That changed in 1988 when Mickey turned 60. Mickey’s Birthdayland opened up in the Magic Kingdom, in the area that is now known as New Fantasyland. A new train stop brought guests to the party town known as Duckburg. Duckburg contained a Circus tent where guests could watch a show where characters held a surprise 60th birthday party for the Main Mouse. Birthdayland had little storefronts for kids to play in; a “farm” where guests could find a cow with a Mickey-shaped marking who was called Minnie Moo. There was also a small playground for the littlest Mouseketeers, as well as a meet and greet “backstage” in Mickey’s “dressing room”. Birthdayland was replaced by Mickey’s Starland in 1990, then Starland became Toontown in 1996. Toontown was completely gone in 2011, replaced by the New Fantasyland. Once Birthdayland became Starland little mention was made of Mickey’s birthday. 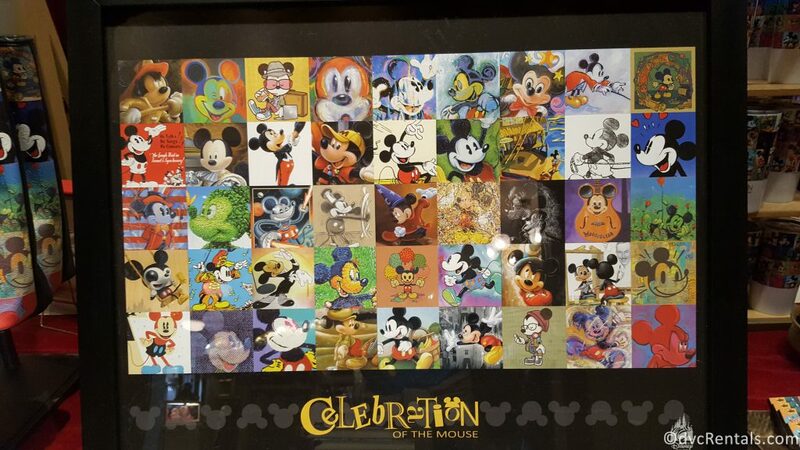 One notable exception was Mickey’s 75th birthday in 2003. 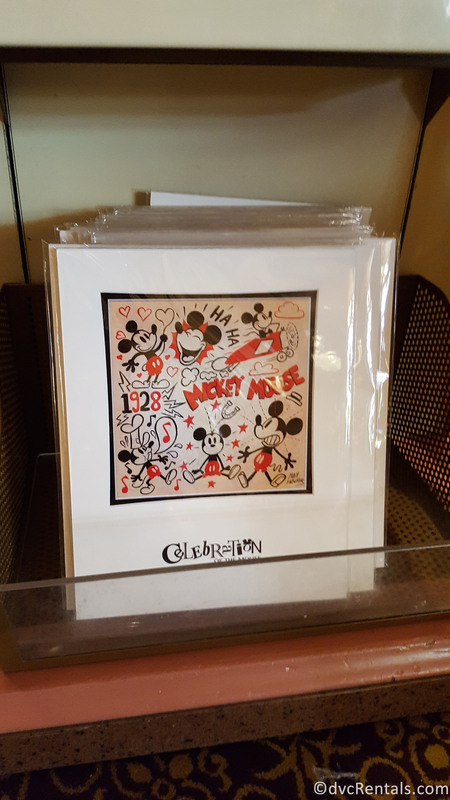 There were Mickey statues placed in front of the Magic Kingdom, all the same style base, but all decorated differently by a number of well-known celebrities. 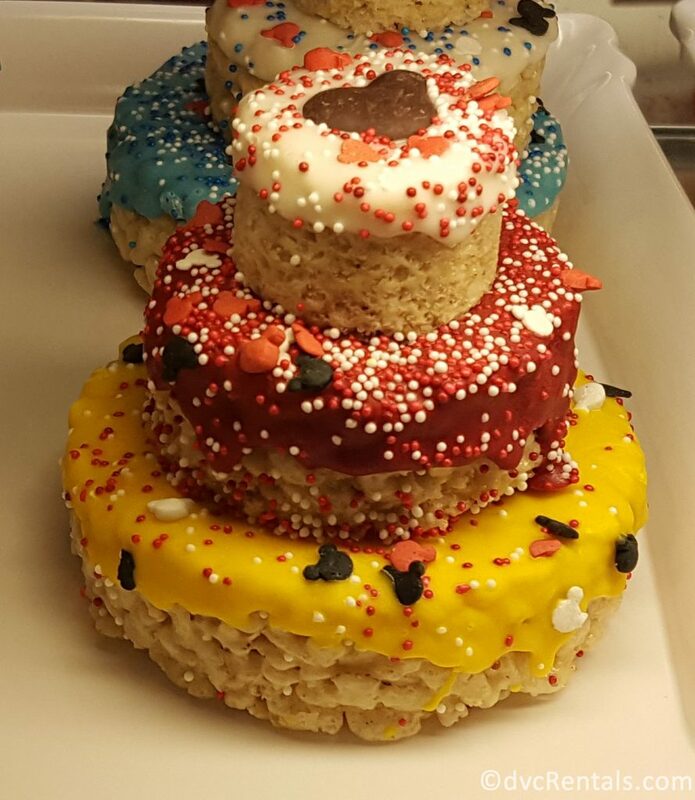 For example, Ellen DeGeneres decorated hers with a Dory theme (for those who don’t know, Ellen voices Dory in Finding Nemo, which had been released earlier that year). These statues eventually ended up touring the country after being at the Magic Kingdom for about 2 months. 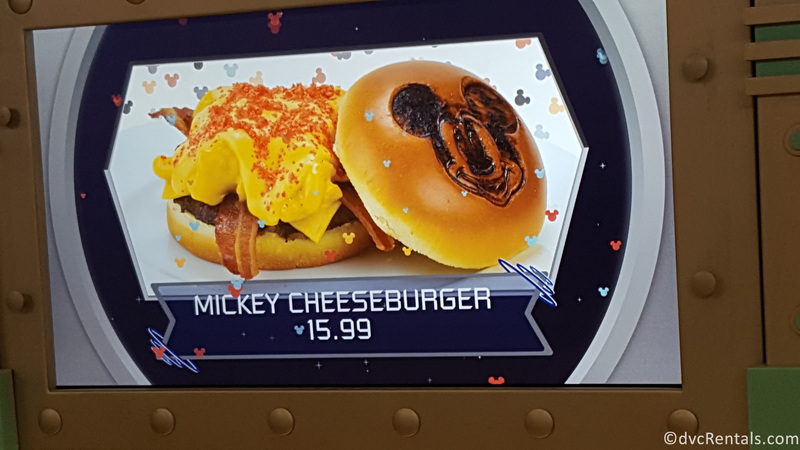 It wasn’t until last year, November 18th 2017, that the powers that be at Walt Disney World decided to recognize Mickey’s Birthday again. 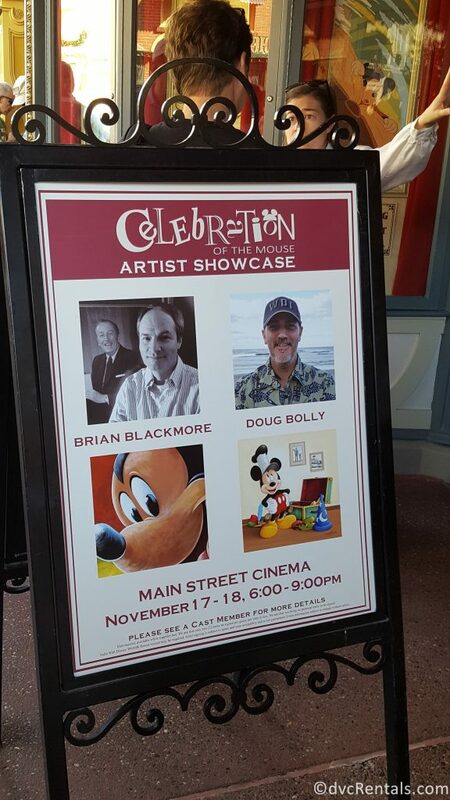 It was announced in advance that there would be a celebration at the Magic Kingdom. This was said to be the beginning of a celebration leading up to Mickey’s 90th birthday this year, 2018. I attended this in 2017 and it was well organized, not particularly crowded, and merchandise was plentiful. This year it was a little different. As it was the 90th birthday, there was a lot more fanfare compared to last year. It was all over the internet, and there were many TV ads. Consequently, it was considerably more crowded this year. I arrived at 9:15 AM and the park was already full of guests. Walking down Main Street was a challenge (tip-the stores on the left side of the street all connect, so you can go through them to avoid the crowds on Main Street—but you will miss that view of walking closer and closer to the castle). 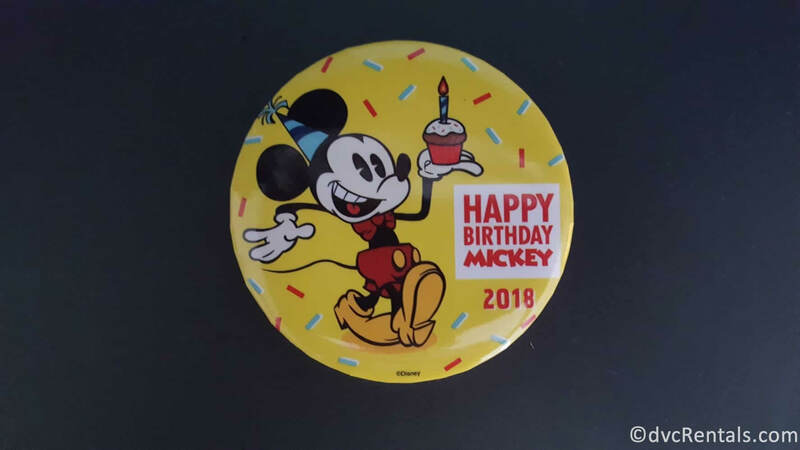 Surprisingly, except for being handed a Happy Birthday Mickey button upon arriving at the park, there was no obvious sign or any indication of it being Mickey’s 90th birthday. Unfortunately the merchandise, which had been plentiful in 2017, was with very few exceptions all sold out. 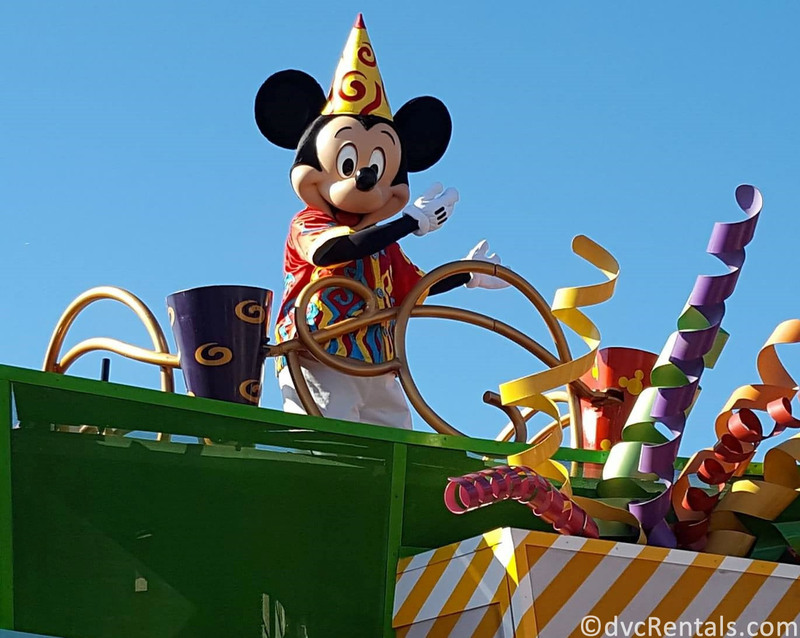 Although Mickey’s birthday is the 18th, this year the celebration began on the 16th. 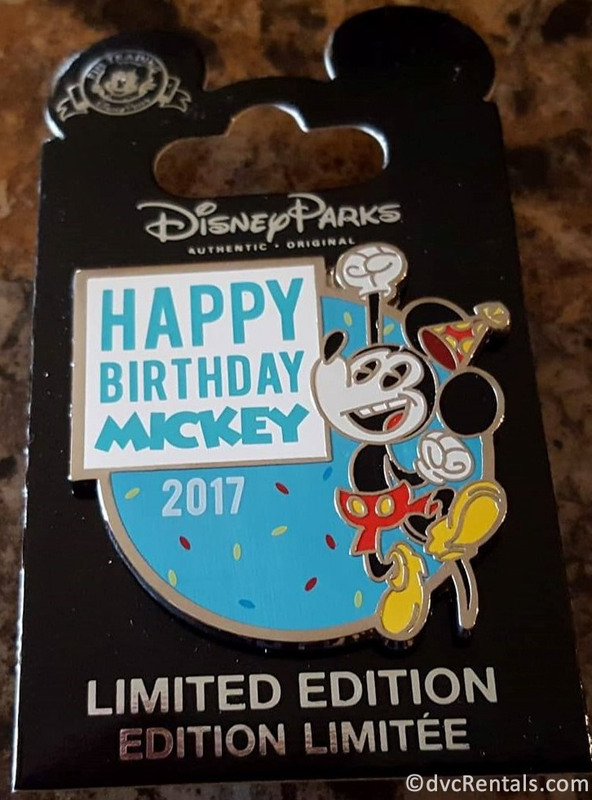 There was also a special Passholder event early on the 16th, where those with Annual Passes could buy 90th birthday merchandise before anyone else. Sadly for guests who went on the 18th, by that date all the shirts, and T-shirts were sold out. There was some artwork, a poster and one or two very expensive souvenirs, but nothing else was left. I will admit to being disappointed myself, had I realized I would have gone on the 16th, I had no idea the merchandise would be gone by the 18th. I didn’t let it ruin my day though; there were still a number of enjoyable things to do to celebrate. I met with Mickey at his meet and greet near the park entrance. There was a 90 minute standby wait, hoorah for Fast Pass; I was in within 10 minutes. Mickey was dressed up all fancy in his tuxedo for his birthday. I happen to be born on November 18th, and he got very excited when he saw my birthday button. 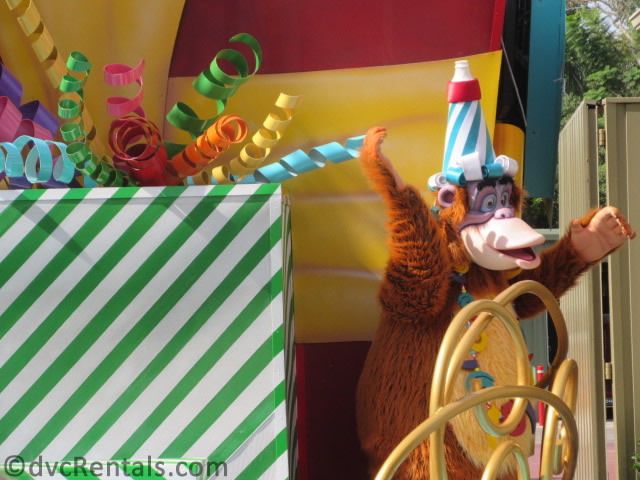 He got all the other guests and cast members in the area to applaud for me, LOL. I wished him a happy birthday, hugged him, and got some great pics. Moving down Main Street I stopped at the candy shop to check out the birthday decorated pastries which were very cute indeed. 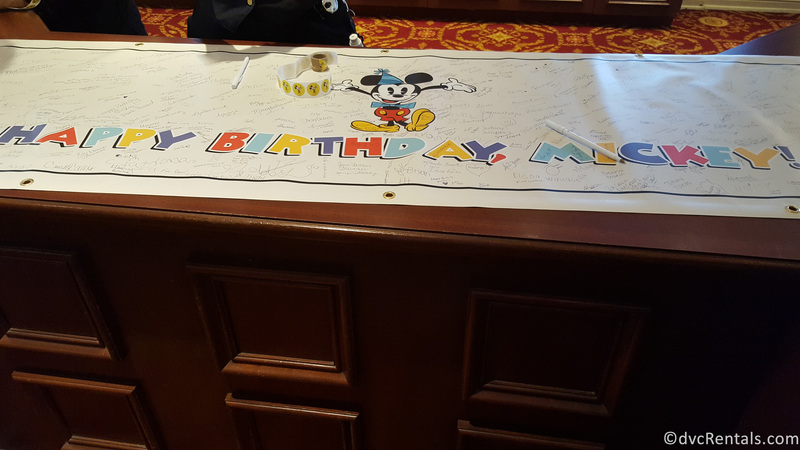 Then it was on to Town Hall to sign, along with many other guests a long birthday card made for Mickey Mouse. 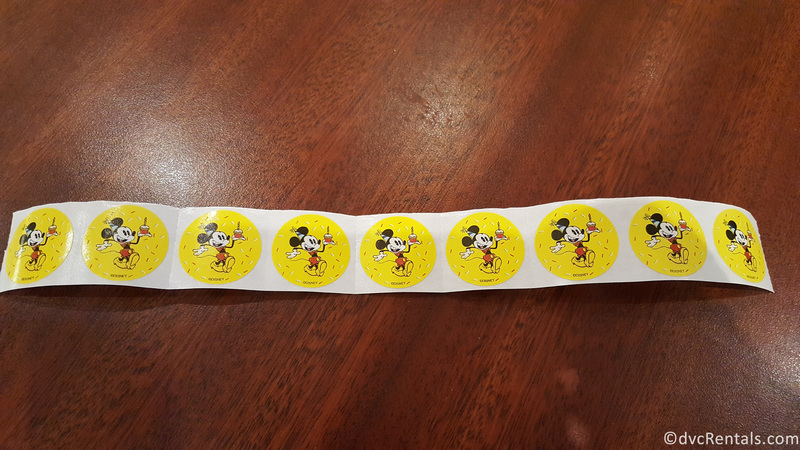 They also handed out Mickey Birthday stickers in that location. 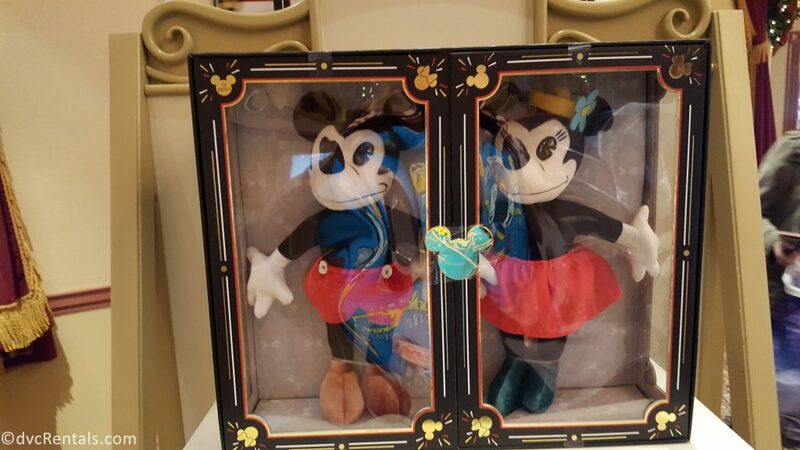 The Main Street Cinema had a set of plush Mickey and Minnie, one of the few official birthday souvenirs left. I didn’t buy the set, but I took pics. 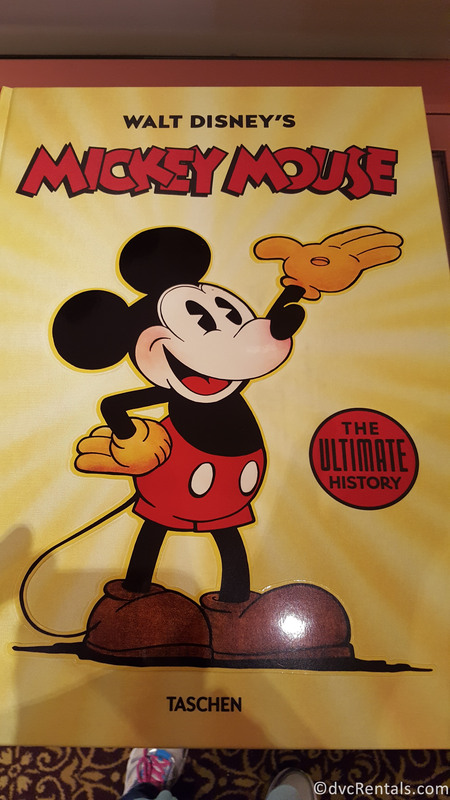 There was also a HUGE oversized book in the Cinema for guests to look through, all about Mickey through the years. 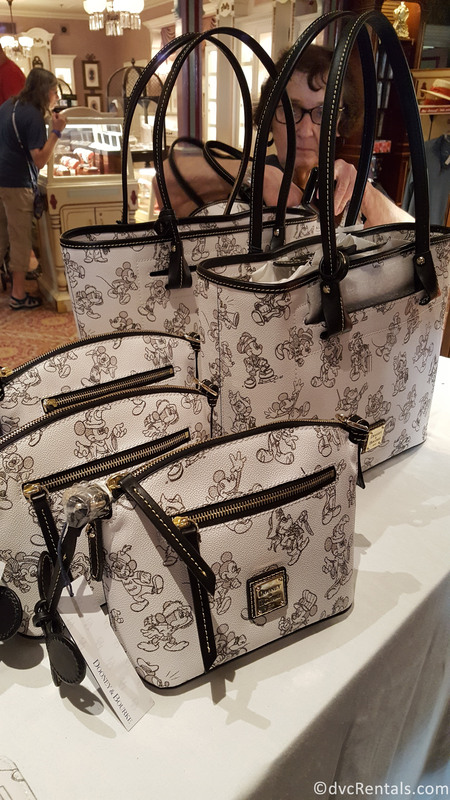 Main Street Jeweler’s had nice looking new Dooney and Burke bags with a Mickey theme, as well as a new Pandora charm made especially to celebrate the birthday of the Big Cheese. I stepped out onto Main Street to watch the Move it Shake it Dance and Play it, and was delighted to see most of the characters wearing birthday hats. The different floats were festooned with birthday ribbon. Additional fun: A Dance Party for the kiddos in Tomorrowland (held later in the afternoon and into the evening); The Dapper Dans leading guests in singing Happy Birthday to Mickey (prior to the Festival of Fantasy Parade); specially themed food in the quick service restaurants; Artwork featuring Mickey; Meet and Greet with Disney Artists; Photopass opportunity in which guests hold a cool looking sign with the words “Let’s Celebrate 90 Years” above the date “November 18, 2018”. I was told by a Cast Member that since the celebration will go on all year, there is a good chance more merchandise will be released. I will certainly be on the lookout for it. 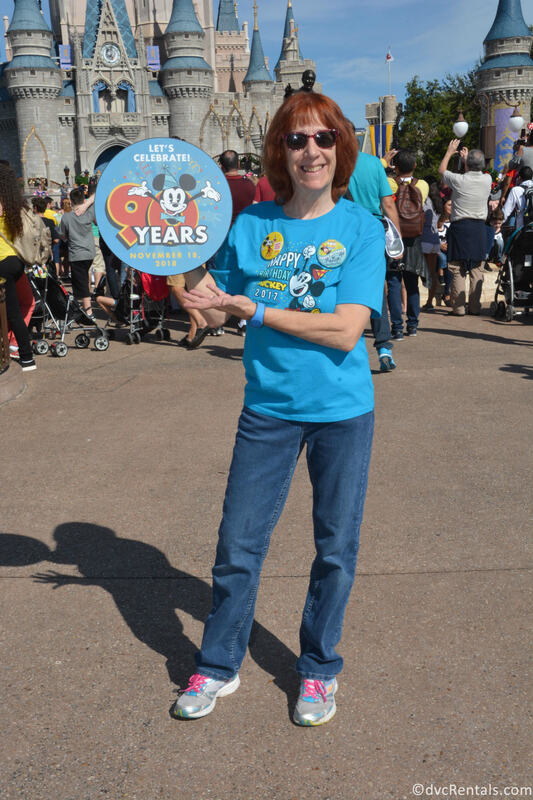 Other than my disappointment at lack of merchandise, Mickey’s Birthday on November 18th 2018 at the Magic Kingdom was a lot of fun! As noted, it was crowded, but that was to be expected on a Sunday, especially with many of the Florida schools closed the entire week that was upcoming. The mood was upbeat; there were a number of different and fun things to see and do. I am glad I went. 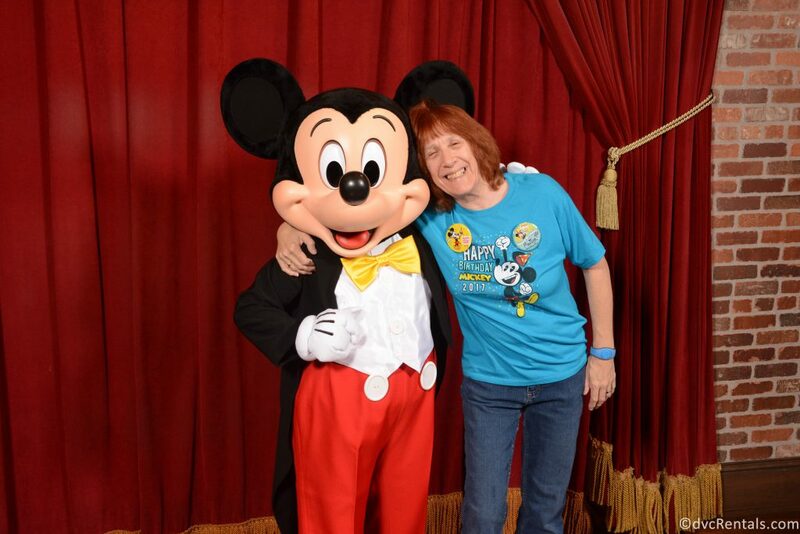 Happy Birthday Mickey, you look amazing for 90!